How to promote the company’s newest Camry Effect commercial and give consumers a chance to win a new Camry? Toyota turned to mobile music app Shazam, which helps music lovers discover new music and identify a tune using their mobile device. According to Shazam, some 165m people use its app. The car manufacturer calls this the “most ambitious social media campaigns we’ve ever implemented”, and says it turned to Shazam to boost awareness. Given the prevalence of mobile devices and popularity of mobile apps, app-as-a-marketing-channel is a trend we can expect to see more of. But brands do need to be careful. Awareness is important, but so is coherence. Toyota’s latest campaign is interesting, but it’s also kind of confusing. In short, the connection between Toyota’s message and the use of the Shazam app is not immediately apparent, raising the question: is Toyota’s use of a mobile app appropriate, or is it throwing a mobile app into the mix just so it can say that it has created a “a fully integrated experience across multiple platforms”? Time will tell, and it will be interesting to see if the winner of this promotion enters through the mobile app or through the entry form. In the meantime, brands shouldn’t forget that the addition of more channels doesn’t necessarily strengthen their message. While Hollywood pushes to have Washington D.C. take over the internet in the name of fighting piracy, some of the most successful purveyors of digital content are heading in the opposite direction. Take for instance Rovio, the maker of Angry Birds. It’s natural that some retailers will feel threatened by the growing use of mobile in store, but the answer is to embrace this trend and use it to enhance the in-store experience. Retailers can do this by providing apps and mobile optimised sites, but also by offering wi-fi to customers. According to an On Device Research (ODR) survey of mobile users, 60% of respondents have used the mobile internet while in stores, while 78% would use free wi-fi in stores if offered it. The use of smartphones by consumers is growing, and many are now using them to compare prices, and search the web for product reviews. 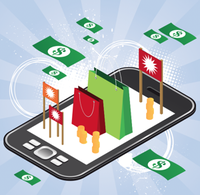 So how can retailers adapt and use this customer behaviour to their advantage?